Imbolc is a spiritual celebration of the first day of Spring, a turning point in the seasons, and a loving farewell to all we wish to leave behind us. And, of course, the timing of this spiritual day coincides perfectly with the opening of the 2019 Soul Sister Masterminds. 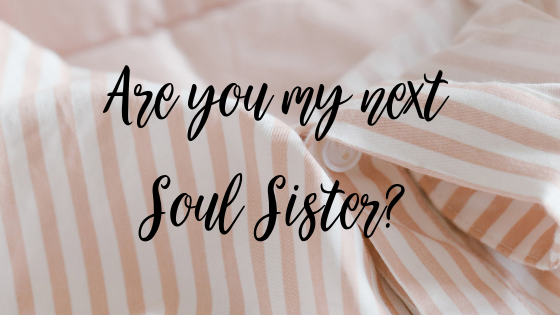 I have a lump in my throat as I write this, thinking about the 22 Soul Sisters who have just graduated from my 2018 Soul Sister Mastermind. Working with women as a collective on such an intimate level to create life-changing transformation fills my heart in ways I never dreamed possible. The 2018 group elevated and expanded in ways I didn’t know were even possible, and with such speed too… the results have astounded me, and I couldn’t be more proud of each and every single one of them. I’m devastated to not be working with them this year (at least not until I create a higher-level mastermind for them which they have asked me to do), but my heart is ready to be filled and given to a new group of Soul Sisters who are ready to expand their lives and businesses beyond recognition. Over the next days and weeks I will be sharing more insights into the mastermind and the kind of results you can expect from working with me at this level, but for many of you, especially those of you on the waitlist, I know you know this is a done deal. It’s your time, and you are ready for your expansion. Once I have your application we can jump on a call to see if we are a good fit.